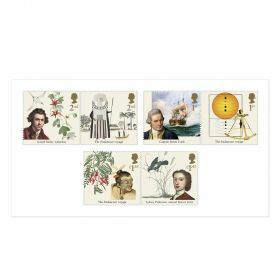 Combine two collectibles in one with this limited edition Coin Cover of just 10,000 in this unique and very special collaboration between the Royal Mint and Royal Mail. 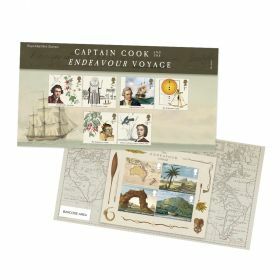 This fully illustrated pack has been designed to keep both in pristine condition, and features wonderful illustrations and detailed information about Captain James Cook’s voyage aboard HMS Endeavor. 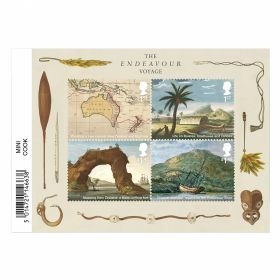 Each Coin Cover is individually numbered. 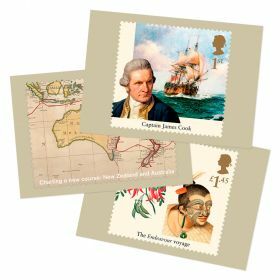 Includes the Royal Mint’s brand new Captain Cook £2 in Brilliant Uncirculated condition. Features Edge Lettering: OCEANI INVESTIGATOR ACERRIMVS.